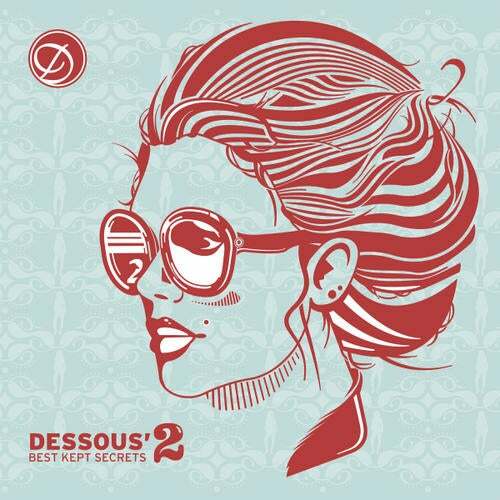 None other than Dessous man in charge, Steve Bug copmiled this second part which positively packed full of unmissable tracks. Clocking in around the 70minutes mark and throwing up 15 extra tracks into the mix, its an absolute burner! Opening with the haunting tones of Breitbarthas aDetectivea, the mix segues into the compilationas third new exclusive cut in the form of Tigerskinas aVoodooa: bizarre vocal wanderings and chunky beats set the tone from here on in. Not far past this mark the dulcet tones of Robert Owens backed by Berkson & What join in, and Matthias Meyeras psychedelic remix of David Durangoas aPerfect Daya rushes through. Running into depth-charge house with Moodymancas aSnorea, and Sascha Diveas aSecret Duba of Two Armadillos: aHamlina, youall be enthralled and captured in mix as Steve Bug masterfully holds the reins tight! Two cuts from Claire Ripley feature, including Gorgeas hotly-drummed remix of aLabyrintha, and also her original hypnotic aUtopiaa. Steve drops Langenbergas aAlternate Rhythma before Hamburg hero Solomunas aWoodstepa creeps onto the stage. The final stages of this excellent, detailed and high-action mix are played out with another fantastic Burnski cut; aMe And Youa, and Ryo Murakamias mix of Innocent Loversa aNeophunka burns through before the closing bars of Moodymancas Omlette complete the blend. Its a classic mix in the making from Steve Bug, seamlessly displaying the vast array of talent available on the ever-growing Dessous imprint.